There’s an app for everything but here are our current favourites that will keep you on top of things. The Mommy Monitor provides customized maternal care services with cultural competency in mind. The up and coming app states that it’s mission is to: “meet all Mothers at their individual needs and to provide solutions for a safe and happy pregnancy”. Users simply register, complete a questionnaire to customize their needs, and are connected with a maternal mentor. A health analysis is provided by the mentor and a customized care package is provided. Different rates are available for prenatal, postnatal, and paternal packages. 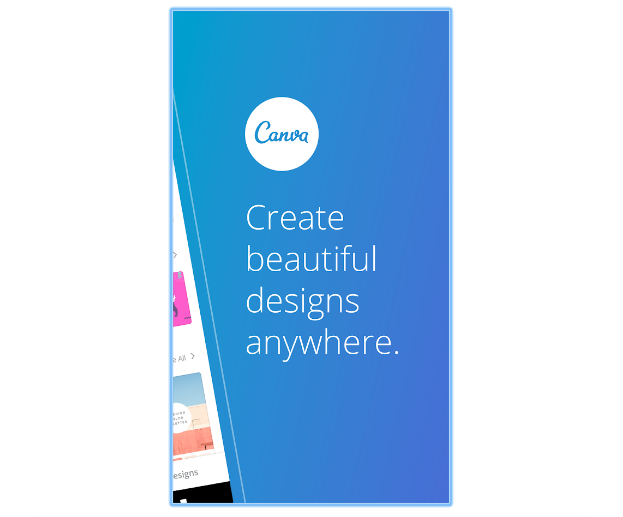 Great for creating designs and professional graphics. You can start by using one of your own images or by choosing from one of many templates available. You may then customize your image by adding and editing text, elements, stickers, boarders, frames and more. Multiple layouts are available to suit your needs such as: social media and post makers, blog and website posts, posters, cards, and many more! 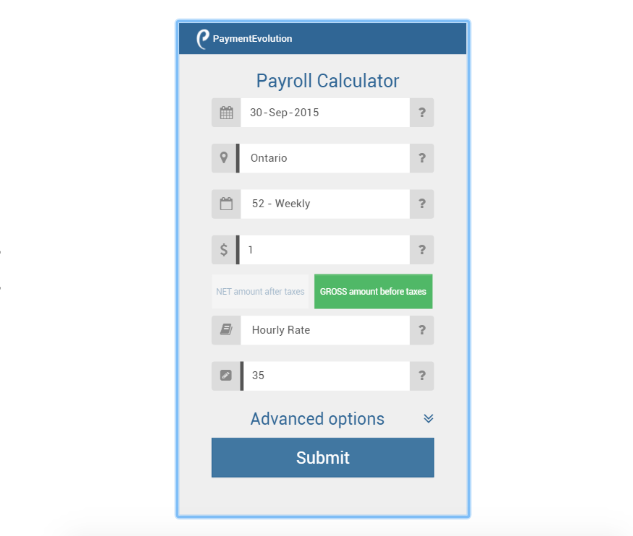 An amazing free tool for calculating payroll before and after Canadian tax deductions available from PaymentEvolution. This no fuss app allows you to get a quick and accurate snapshot of gross and net payroll amounts, whether you are tracking client payments or an employee’s payroll. Saving this information to any cloud app via a simple screenshot can also act as an amazing time saver during the current tax season. Clue is rated the top free period tracker and ovulation tracker by the journal of Obstetrics and Gynaecology, and is a Research partner with Oxford, Stanford, and Colombia. Clue will allow you to discover the unique patterns in your menstrual cycle using an algorithm from that data that you input, along with dozens of ways to track that data in a way that best tailors your needs. It rocks gender neutrality and is extremely informative, providing complete Scientific and medical references. Insight timer is the most popular free mediation app where you can stream thousands of guided meditations. It also offers music tracks, and the option to follow meditation teachers. You can participate in discussion groups, track your progress, and sync across devices. An amazing go to for managing tasks and projects. Add to-dos, create lists and boards, due dates, assignees, followers, details, and files. Works with Google Drive, Dropbox, and Slack. It also has the option to comment on tasks to clarify instructions or ask questions. Asana is especially great for those times when you can’t catch that pesky weak wifi signal. Get your work done offline with Asana, and as soon as you go back online it will not only update the new data online but also across devices. 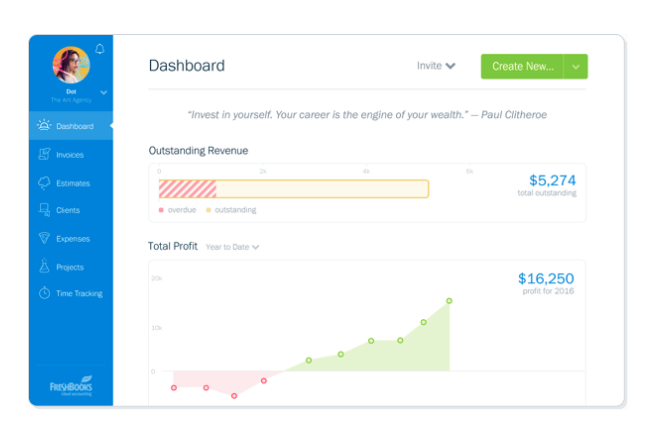 Asana offers free sign up and unlimited usage for up to 15 people! Communicate and collaborate with your team on any device with Slack. 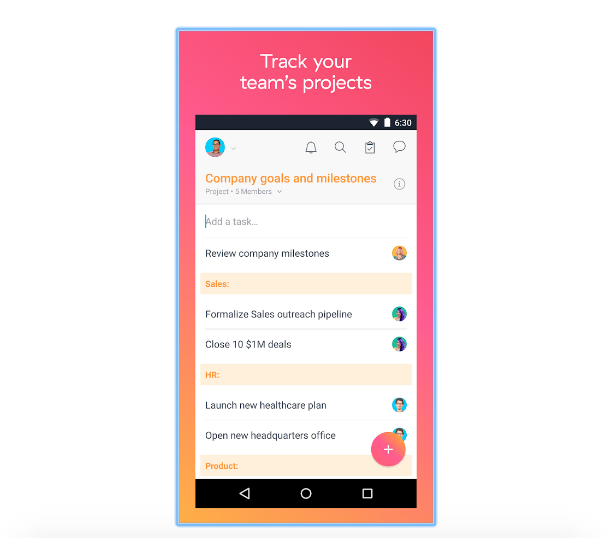 This app allows you and your team to share and edit documents using familiar services like Google Drive, Sales Force, Dropbox, Asana, Twitter, Zendesk, and others. Slack allows you to customize notifications and search a central knowledge base that automatically indexes past conversations and files. Freshbooks is an accounting software for small business owners that securely runs on the cloud. Currently available for Apple, Freshbooks allows you to create professional invoices in seconds, accept online payments, track billable hours, keep automatic payment records, track expenses and client conversations. Freshbooks offers a 30 day free trial after which time various subscriptions are available starting at only $15 US/month. This is a must-have app. How many times have you wasted resetting passwords – too much time! LastPass keeps all your passwords organized in one safe place. Secure your passwords or generate new, strong passwords. With LastPass, you only remember one password – your LastPass master password. Keep your passwords secret, and use LastPass to automatically fill out your logins, wherever you go. Does your small business have sporadic hiring needs? Look no further. 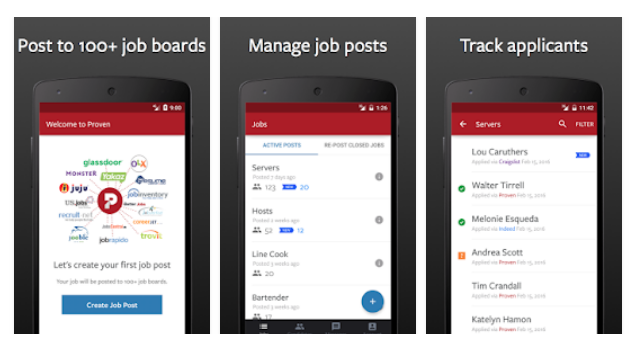 Proven organizes your hiring by posting all your job listings to multiple boards with just one click. You can sort through responses using Proven’s categorization bucket feature, which organizes applications into: “Yes” “No” and “Maybe” piles. The app also conveniently allows you to note when you have followed up with a candidate.